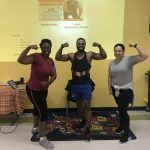 We had a great workout session during our last Parent Workshop of the school year. 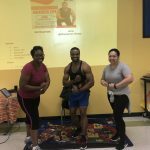 We discussed Fitness and Health Awareness and our personal fitness trainer Jamo, provided us with helpful tips on staying fit. Some of his suggestions were; to work hard and challenge yourself, fitness and diet go hand in hand and don’t be afraid to ask for help. 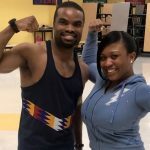 We also learned that consistency is key when it comes to living a healthy lifestyle. 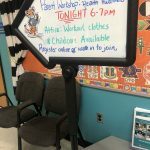 Thank you to all parents who were able to attend the Parent Workshops during the 2018-2019 school year. Please click on the link below to participate in a survey by providing me with feedback for future workshops.Your feedback is truly appreciated to better prepare and plan for the upcoming school year. I encourage parents to continue participating in school activities and events. Your involvement is pivotal during your child’s educational journey because it truly takes a village.